Baylor University Medical Center in Dallas is making national headlines for the first baby born in the United States to a mother who received a transplanted uterus. This happened as part of the hospital’s ongoing uterus transplant clinical trial. Time Magazine reported first that the birth was a scheduled C-section and the baby was delivered healthy. The primary medical and research team discussed the successful transplant and birth this morning. You can view the press conference here. Before this birth in Texas, only eight babies had ever been born to women with transplants – all in Sweden. A new ProPublica investigation reveals there are more than 60 military installations or former installations across Texas contaminated by hazardous waste. One of the worst sits just east of Houston, as Andrew Schneider reports. The San Jacinto Ordnance Depot occupies nearly 5,000 acres just east of the Sam Houston Ship Channel Bridge. It supplied the Army and Navy during World War II and the Korean War. Scoggin says the depot’s location makes it vulnerable to flooding. “Obviously in the context of Hurricane Harvey, we worry about that, as numerous Superfund sites all throughout the Gulf Coast flooded, and that has the potential to not only contaminate the air, as we would always be worried about, but in addition the water, which would create a new host of public health concerns,” he says. The Pentagon reports it will take less than $7 million dollars to clean up the facility, but anticipates it won’t complete the work until 2084. 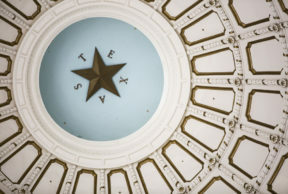 Members of the Texas House of Representatives swiftly adopted a new sexual harassment policy on Friday. 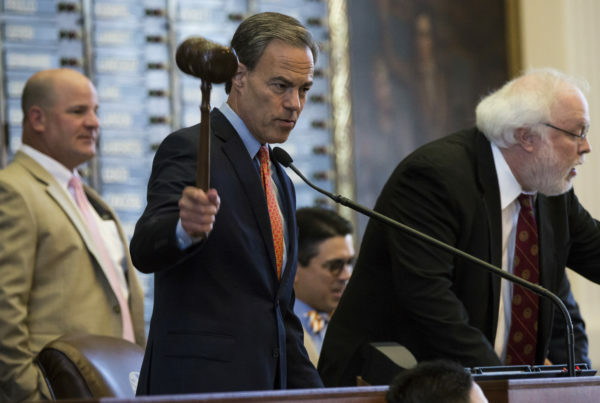 Both House Speaker Joe Straus and Lt. Gove Dan Patrick directed lawmakers to review procedures after a Texas Tribune report released in November. The report found current policies provided little protection for victims of harassment. State Rep. Charlie Geren of Fort Worth, the chair of the House Administration Committee, talked about several major changes to the existing harassment policy. You can watch the entire committee meeting here. Other changes include more details about the internal investigation process for complaints, counseling, and strengthened protections for interns.